Corner of Ford St. & The Anthony Wayne Trail. 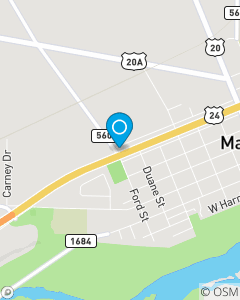 1/2 mile south of THE ANDERSON'S Maumee on Ford St.
Our mission is to help people manage the risks of everyday life, recover from the unexpected and realize their dreams. With over 100 years of combined State Farm experience we strive to help our customers secure options for their insurance and financial services needs. Experience the difference of our quality and caring team!